Do not head to battle without the proper head protection! The Richard Riveted Steel Chainmail Coif, covering the head, neck and shoulders in rings of steel, is an essential armour piece for any medieval knight or fantasy warrior. The steel rings, woven in a traditional 4-in-1 pattern, are galvanized with zinc for protection against rust and are fully riveted for sturdiness. 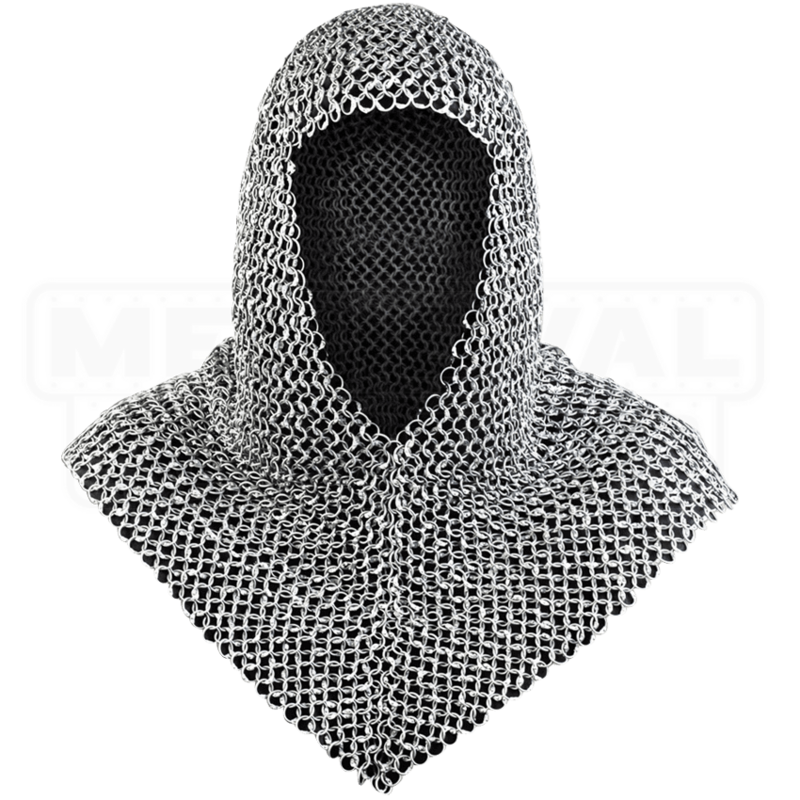 Great for LARP or costume use, this steel chainmail hood is safest when worn over a padded arming cap, and can be worn as the top layer of head protection or underneath a steel helmet for an extra layer of defense. 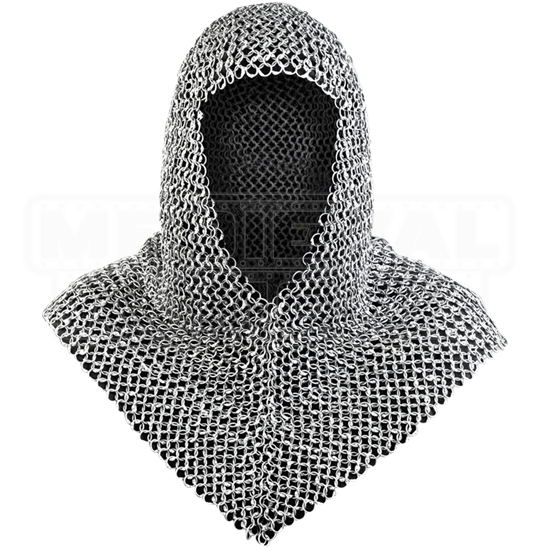 Add knightly style to any ensemble with this zinc coated chainmail hood.